Hello! Today I am wearing a Victorian-inspired outfit set from Le Petite Morte, created for the upcoming round of GENRE. I haven't put on a Victorian dress since I was kicked out of Caledon, but I really liked how well the fabric holds its shape even when I move. I remember that in the old days it was imperative to wear nice stockings because my legs would invariably emerge into the light, giving all the Caledonian gents a free show. Not so anymore! In fact, I'm not wearing a stitch of anything beneath this pretty frock, NOT EVEN SHOES. You'll be able to get this skirt and top when GENRE opens. 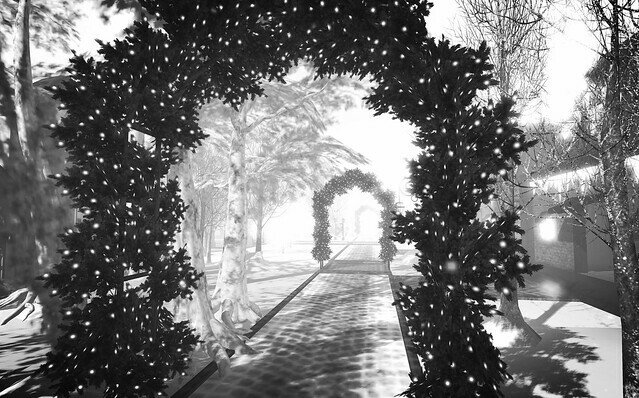 Because I was wearing such an outfit, I went back to the Gothmas by Gaslight sim and took a few more photos. I'm excited! The Christmas decorations are up, and the whole town has that slightly decrepid, Dickensian Christmas smoulder. It'll open on the 15th! 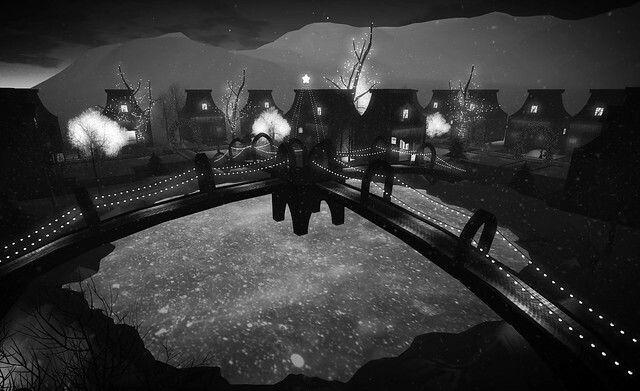 Sim: Gothmas by Gaslight, opening soon!